Dodge diesel service in the Sonoma County area is made simple here at RPM Automotive Services. 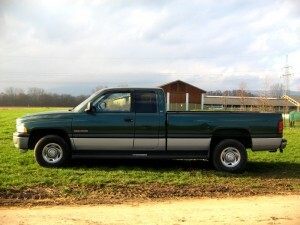 The 3500 model Dodge is great for daily driving as well as work-related tasks. We are the experts when it comes to 3500 service and diesel repair. We realize the importance of proper automotive services and we are dedicated to providing every one of our customers with the best quality service available. Our goal is to have you on the road as soon as possible with a better working vehicle. Since 1982, our professional and dedicated staff at RPM Automotive Services has offered only the best quality care and work. We are a complete service facility offering a vast range of services and repairs. In addition to your daily driver, we service fleet and equipment as well. Our technicians are the best in town which allows us to offer you the best warranty available. As an ASE Certified facility you can rest assured that your vehicle is always in the right hands at RPM Automotive Services. Contact us today to schedule your Dodge diesel service or diesel repair in Sonoma County.